Cantemo Portal™ is a great collaborative tool. 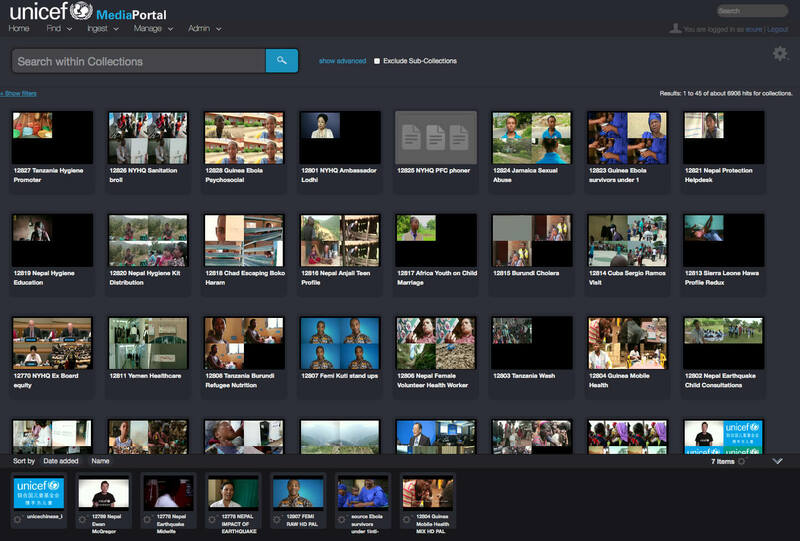 With a small staff of editors and producers to support the production demands of country offices across the globe, we can leverage Portal’s integration and distribution features to focus on creating more content with less resources. EDUARDO CURE, VIDEO TECHNOLOGY DIRECTOR, UNICEF. Children’s leading humanitarian and development agency, UNICEF, is working tirelessly to improve lives for children across the globe. It focuses on five key dangers faced by children, namely violence and abuse; disease; hunger and malnutrition; war and conflict; and disaster. None of this vital work would be possible without public support, both in terms of time and money donated by people across the globe. UNICEF has a very innovative approach to video, which enables the agency to engage with the public in a variety of different ways, from music videos, through info graphics, to valuable news stories at the time of emergency, reporting on the effect the disaster is having on children and education. UNICEF has very much embraced video as an effective way to reach a wide audience across the globe. We are proud to played our part, enabling the humanitarian and development agency to make the production and distribution process much more efficient, ensuring those videos can be distributed as widely and quickly as possible. 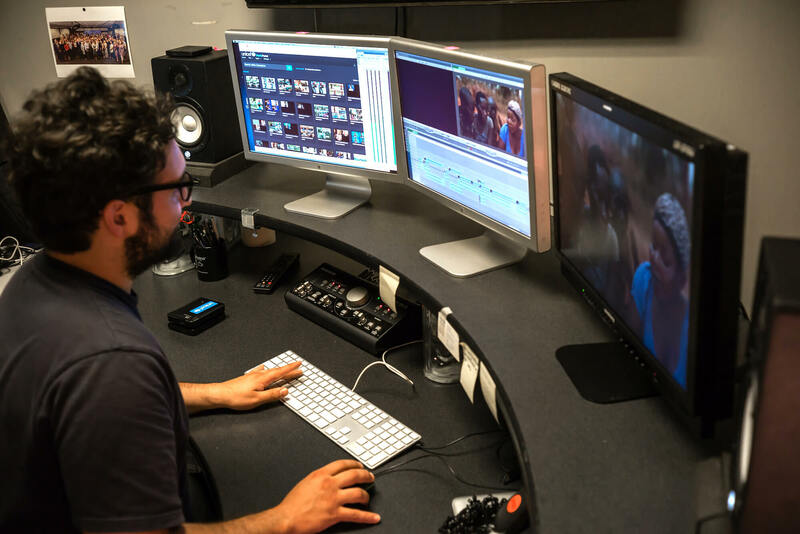 Having been an early adopter of Final Cut Server, the video production team at UNICEF were very much invested in a system that would enable them to review and approve materials coming in from various locations across the globe every day. After Apple stopped supporting Final Cut Server, UNICEF was left with a system that became increasingly difficult to use. With a large media library of more than 200,000 assets, that was exponentially growing, and a daily demand to review materials, it was crucial to get a new system in place. UNICEF relies heavily on people in the field to provide video footage, which can then be edited if necessary and distributed both to broadcasters across the globe and via UNICEF’s various social media platforms. Naturally, when it comes to reporting on current events, being able to do this quickly and efficiently across continents is particularly key. UNICEF asked Chesapeake Systems to determine a suitable system to fit their needs. After looking at several options for Media Asset Management Systems, it became increasingly clear that aside from affordability, above all UNICEF was looking for simplicity. Having an intuitive and user-friendly interface would make it easy for collaborators to navigate around the system, regardless of their technical knowledge. Having worked with Final Cut Server for a number of years, it was equally important to be able to easily migrate a large back catalogue into the new system, which could step into the role of Final Cut Server. At the same time, extensibility and scalability was extremely important in UNICEF’s decision, ensuring the longevity of the new setup. Cantemo Portal was selected, as it ticked all of those boxes, offering the full required feature. 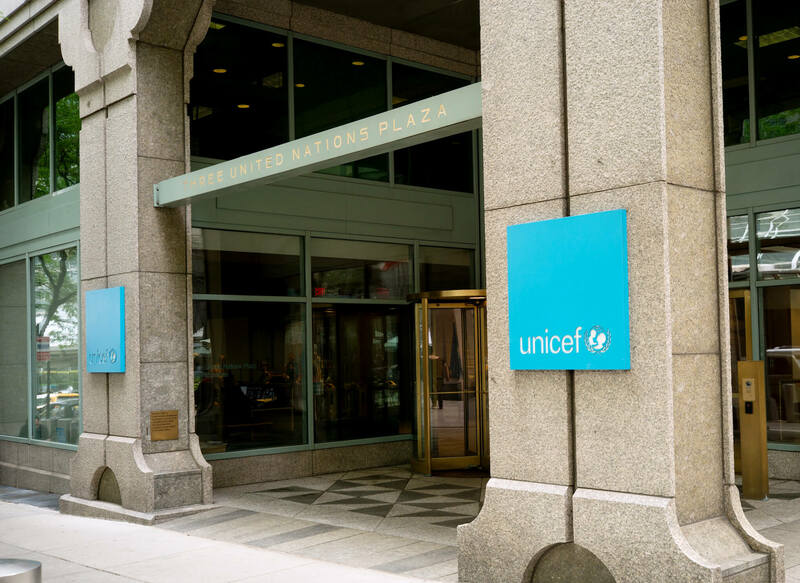 Before commencing the transition, the Chesapeake team conducted a full audit of the existing infrastructure and workflow, and helped UNICEF make the best choices to ensure the transition was as smooth as possible. 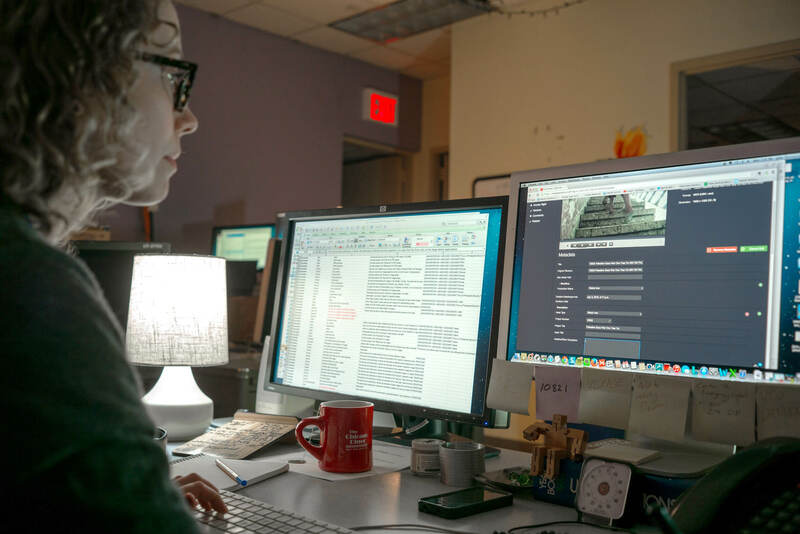 Thanks to the CP Migration Tool from Moosystems, all of UNICEF’s existing content was simply migrated from Final Cut Server into Cantemo Portal. The CP Migration Tool extracted all metadata from Final Cut Server, created all the necessary fields within Portal and then addressed the items’ metadata to Portal’s database. And with another Moosystems tool, the CP Archive App, even the already archived content could be migrated to the new solution, without the need to restore the archive and re-archive. Clearly, this saved a vast amount of time in the transition process and the entire archive is still addressable from within Cantemo Portal. Media is ingested from various locations across the globe into Portal. 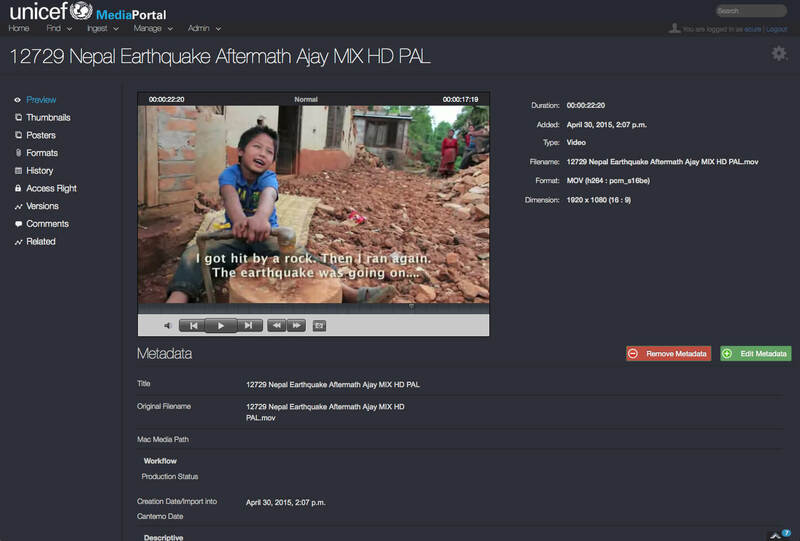 Being a web-based interface means that this can be done in the field, and the producers are also able to review and annotate footage within Portal instantly, regardless of their geographical location. Once a project has been edited and approved, it is distributed to Unifeed (UN satellite feed) for distribution to broadcasters across the globe. At the same time, it is instantly shared across UNICEF’s various social media platforms.